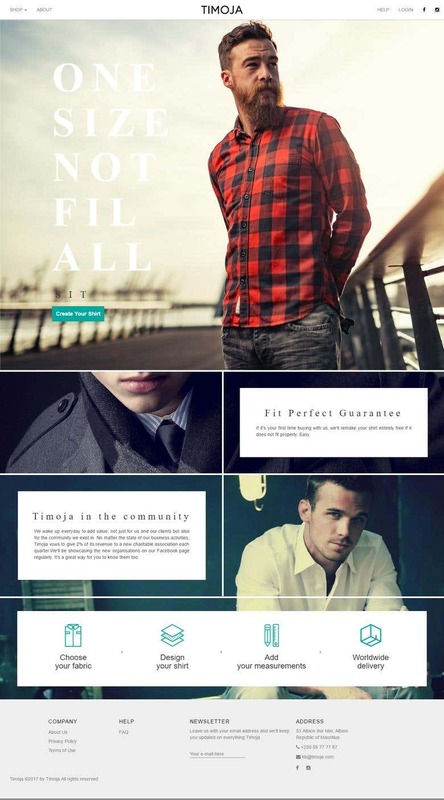 Timoja was born because we firmly believe that quality, style and everyday value should be easily accessible. The most honest claim we can make is that we are known for our quality attire in Mauritius and we share a passion for questioning the status quo. Whilst the business is built on new technology, at the core of our team is a respect for the craftsmanship, the savoir-faire. 1) Website Development 2) Website Design 3) PSD to HTML 4) Graphic Design [Logo, Business card, Stationary Design and much more] 5) Online Store [eCommerce] 6) Plugin Development 7) Mobile Application Development [Android & iOS] 8) CMS customization. 9) BITCOINS Web and App Development SERVICES: Android | iOS | SEO | PHP | Magento | Wordpress | Bootstrap and much More. Industries: Real Estate | Online Store | Travel & Transport | Food, Beverage | Accounting & Financial | Manufacturing Much More.